As 2018 draws to a close and our attention turns to 2019, we’re excited to share with you a new dynamic between the Greater Madison Convention and Visitors Bureau (GMCVB) and the Madison Area Sports Commission (MASC) that reflects Madison’s evolving vitality as a destination. We believe our new organizational structure will help us better serve our community, bringing attention to, and economic benefit for, the people who have chosen to live, work, and innovate in Madison. On January 1, the GMCVB and MASC boards will merge under one governing board of directors, united under a new name: Destination Madison. This change is the result of nearly two years of research, discussion, and planning by both boards. While the missions of each entity will remain the same, respectively – tourism and meetings; sporting events and philanthropy – the synthesis of shared work and resources under a united board will result in an organization that is both nimbler and stronger than ever. With this new unified model, the work of MASC will continue within Destination Madison under the MASC brand, allowing us to retain its strong identity in the community and in the industry. 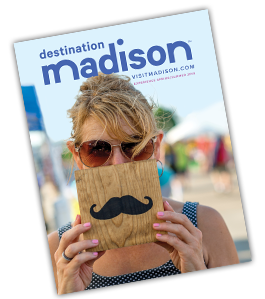 Destination Madison reflects the passion, pride, and spirit shared by the people who call the Greater Madison area home. The name is a shorthand, a calling card, for the people we invite to our community. A destination is a place people seek out and explore. Our new organization name tells visitors and residents that our city isn’t a place people stumble across on a map; it’s a city and region that inspires people to pick up a map to seek out. And when they arrive, whether it be for a weekend with friends, an inspiring conference, or for a national sports tournament, their infusion of energy and spending will provide more opportunities, more work, and a better quality of life for businesses and residents alike. These exciting structure and name changes will be reflected in our work in 2019 and beyond. While the new board will be a 25-person hybrid of current GMCVB and MASC board members, former board members will still be involved with committees, task forces, and special projects. This year we saw just how much impact a strong committee and volunteer base can have with the triumph of Bucky on Parade. We look forward to this type of synergy leading to other successes for our community. We have huge opportunities in front of us, and Destination Madison needs to be at the forefront of the conversation and the action. Issues like the Alliant Energy Campus, the Nolen Waterfront, the Judge Doyle Square Project, the F-35s at Truax Field, workforce development, and transportation infrastructure are vital to the future of Greater Madison and of our tourism economy. Attracting and retaining high profile institutions like the CrossFit Games and Ironman highlight the active and healthy lifestyle of our city, and position Madison as leader in the sports events arena. And ongoing expansion of our arts and culture community, entertainment venues, and award-winning restaurants are vital to our quality of life. Exciting opportunities are on the horizon. Madison is evolving in new and innovative ways, and with Destination Madison, we’re evolving with it. We’re honored to have your support as our organization builds our brand and reputation as the champion for Greater Madison – the place we call home. How do you inspire and train employees to create meaningful customer experiences? Check out some of the ideas CVB partners shared at our October Brainstorm Bistro. Many of your customers rank “experience” as the most important brand differentiator. Can the same be said of your employees? After all, your employees serve as the face of your business. By setting the tone for customer experience, they often create a more lasting impression than your products or prices. Recently, your fellow GMCVB partners discussed how to inspire employees to create meaningful customer experiences at our October Brainstorm Bistro. Effective communication, teamwork and empowerment, effective hiring practices, and support for management were among the strategies discussed. Rethink how you communicate with staff. Cut down on turnover – a bane of customer experience – with regular one-on-one discussions to check in with employees, and share customer feedback. Sometimes it’s not what you say – it’s how you say it Emphasize respect, be clear and concise. Find out what motivates your employees. What are their goals? Current challenges? A chattier, more familiar style can put them at ease. Communication and learning styles differ among employees. Use multiple methods so everyone understands. Internal emails don’t always work. How do you emphasize the value of good customer service to staff, especially when management isn’t always on the front line? Empowering employees helps them feel in control and invested. Encourage employees to set good examples and learn from each other. When employees demonstrate great service, note it in front of their peers or in a recognition program. Create an “insight board,” a bulletin board or other place for staff to post insights they’ve gained from customers. Connect employees to form casual mentorships. Offer ongoing morale-building through a staff book club, team-building events, or public recognition of great service. Strengthen your hiring and coaching techniques. Interview staff candidates regularly. Never reach a desperation mode of hiring just anyone. Watch for people who are engaged during interviews and seem to align emotionally with your business. You can train for skills as needed, but that emotional connection is an advantage. Understand that your organization may not be an employee’s final career goal. Still, help them advance. It’s a likely win for you, the employee AND your customers. Revisit orientation one month after employees start. Remind them about reward programs and benefits. Reinforce initial training and welcome their questions. Need help with these ideas? Seek management buy-in. It’s vital to retain employees and keep them engaged with customers. Leadership sets the tone! Leadership must care and show they care about employees. Once you gather employee feedback and ideas, management must act. Set up a system to track success. Next month in Business Builder: How to collect, track and use customer feedback. Congrats on over 40 years in business! What have been some of your favorite highlights along the way? Thank you! With 40 years to celebrate, we have a lot of wonderful events to look back on. 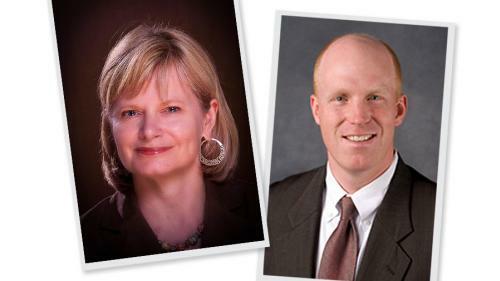 Full Compass started with just two employees, Jonathan and Susan Lipp. To see the company grow to over 230 employees is very exciting! Certainly, being recognized as one of the top women-owned businesses in the state of Wisconsin is a source of pride for the owners of the company. Susan has been steadfast over the years in her initiative to promote the role of women in a predominately male industry. Full Compass is also a strong advocate of music education in our schools and the annual DC Fly-In has been a huge highlight for us. The Lipps have been influential in lobbying the US Congress at over a dozen NAMM Advocacy Fly-Ins. Being in this industry has provided the Lipps with the unique opportunity to work alongside industry pros like Bernie Williams, Chad Smith (Red Hot Chili Peppers), Tony Bennett, actor Scott Grimes, and Dionne Warwick and join them in their crusade to Congress to make sure music is a staple educational opportunity in our children’s schools. Tell us more about the sales and services that Full Compass has to offer. 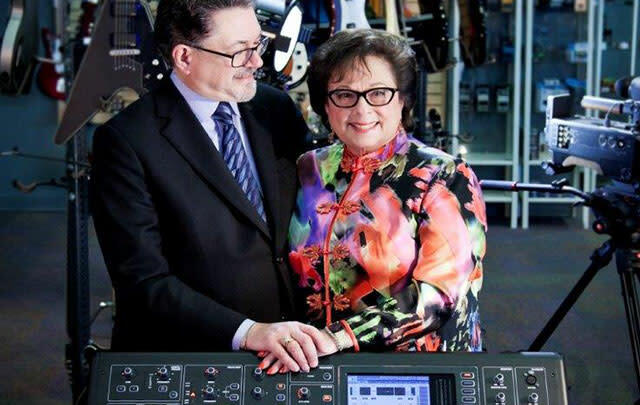 Full Compass is one of the largest dealers of pro audio, video, lighting and musical instruments in the United States. We offer products from over 800 manufacturer brands. The company has built its business on cultivating long-standing loyal relationships with our customers, who have business needs that require pre- and post-sales support. Putting a new sound system in a school, House of Worship, or Corporate Boardroom often involves many phone calls to make sure the customer is getting the right product to meet their requirements. Our goal is exceptional customer service and delivering a solution that the customer is happy with for the long-term. In addition to our B2B customers, we have many professional musicians, videographers, lighting designers and weekend warriors that rely on Full Compass for all their gear and production needs. Whether it’s through our website, chatting with a sales person online, walking in the front door, or calling us directly we want to make sure we are a good resource for them. Locally, we have a full-service rentals department that both rents gear and is available to run production at events or large meetings. In addition, if you have gear that needs to be fixed we are an authorized service center for many brands that we carry. Since your business has grown nationally, how have you stayed connected and dedicated to the local community? We encourage our associates to get involved with our local community. The founders of the company set the bar years ago with their community outreach. While the Lipps continue to sit on 14 boards, including The Overture Center for the Arts and our local chapter of the American Heart Association, we look for ways our employees can get involved. In fact, we offer each employee 2-days of Volunteer Time Off per year to volunteer at non-profit organizations. For example, we have had several members of our Operations team use their days to build houses for Habitat for Humanity. Full Compass is an avid supporter of the arts and has held many fund-raising events at our facility. We have hosted the auditions for Overture&apos;s Rising Stars talent contest showcasing local performers in our large studio. We want musicians and artists to know we are here, not only as a place that supplies gear but to let them know there is a whole industry to get involved in as a career if they so choose. It sounds cliché but engaging new generations of people in this amazing industry is what keeps us veterans&apos; young at heart. Madison is an amazing city and culturally rich. The talent pool that lives and performs here is on par with those in nearby Chicago. Not only do we have state-of-the-art facilities like The Overture Center and the newly opened Sylvee, but Madison is also home to resident companies like Kanopy Dance Company, Madison Ballet, the Wisconsin Chamber Orchestra, and the Madison Symphony Orchestra, as well as the UW School of Music and our nationally renowned UW Marching Band. Jazz legends like Ben Sidran, Richard Davis, and Jan Wheaton call Madison home, as did the funky drummer himself, Clyde Stubblefield. Bands such as Garbage and the duo of Lou & Peter Berryman got their start in Madison, and the list of up and coming talent does not disappoint. Whether people are visiting, looking to move to Madison, or stay in Madison after college - if we can work with the GMCVB to promote Madison as a destination, it’s an economic win for the city of Madison and contributes to our ability to maintain and attract a high level of diverse cultural artistry in our beloved city. Full Compass has been a major asset for musicians. What musicians have had a major impact in your life/business? You can walk the halls of our building and see pictures lining the walls that have been taken over the years with local and nationally known musicians and artists in our industry. Not all are household names to those outside the industry, but people like Leslie Ann Jones, Grammy Award-winning recording engineer and Director of Music Recording and Scoring at Skywalker Sound (a Lucasfilm company), has been so gracious in her support of Full Compass over the years. She, along with people like Victor Wooton, 5-time Grammy winning bass player of Béla Fleck and the Flecktones, have come to Full Compass to give clinics on how they "do what they do." When industry heavies like this come into town it is always a packed house, as local audio & production students, as well as music students are eager to learn from the best of the best. We are always thrilled when we can bring this kind of talent to Madison because these are opportunities often saved for the big cities like LA and NYC. The professional audio/video and lighting industry is a wonderful industry for people to consider as a career. We are always looking for new talent, so if people are interested or have questions about what working in Pro A/V looks like they should not hesitate to give us a call. Not only do you get to work with fun and talented people, but there are also so many opportunities to give back to your community while doing something you love. 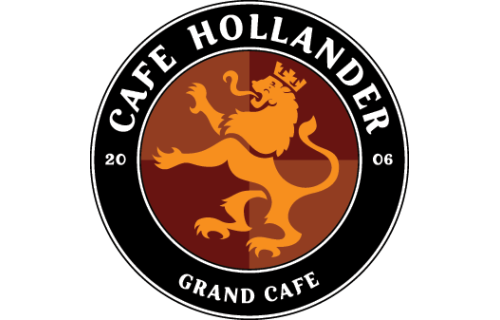 Inspired by the grand cafes of Lowlands Europe, Café Hollander is famous for its extensive Belgian bier selection, weekend brunch and amazing outdoor dining spaces. OPENING IN 2019. 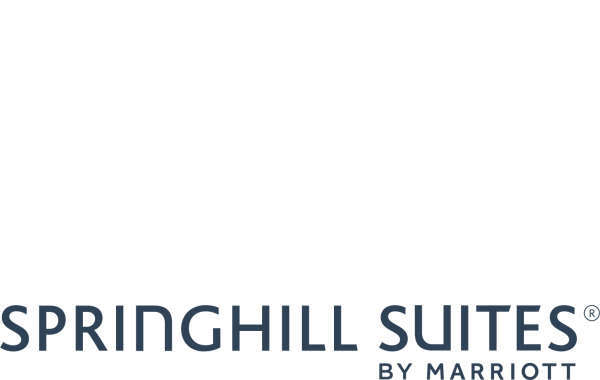 Located 10 minutes outside of downtown Madison, SpringHill Suites by Marriott - Hilldale is within walking distance of the Hilldale Shopping Center, restaurants, and nightlife. Tipsy Cow Sun Prairie is your destination for tavern food. Using high-quality ingredients, we offer a delicious menu of appetizers, sandwiches, soups, and salads. Stop by the bar to taste our ever-changing craft beers from around the country.